I haven’t done any official research on the topic, but I’d be willing to wager that after December, May is the second busiest month of the year. Everyone is graduating or going to events or on their first bit of vacation. With all of that in mind, we wanted to give you some wines that you could slow down and relax with as this month’s Selections. How many times have Keegan and I told you that we’re always looking for unusual wines and unheard of grapes? 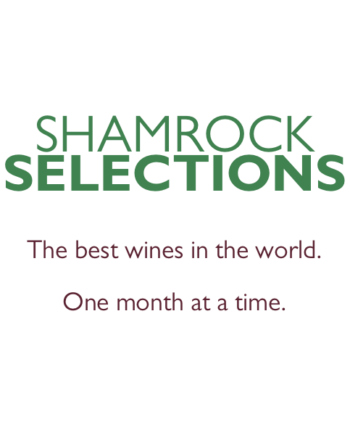 Well, this month, in the two blends we’ve collected, there are 7 different grapes used with 6 of them being (to our count) completely new to Shamrock Selections. So, sit back and relax and enjoy these wines. They’re superstars on their own, but in tandem, as part of a meal, they really shine. Who knew they made wine in Portugal that wasn’t Port? Well, you probably did, but have you actually had any of it? If not, you’re in for a treat. This month’s wine is an interesting blend of 4 grapes: 59% Touriga Nacional, 30% Touriga Franca, 5.5% Tinta Roriz, and 5.5% Tinta Barroca. The blend really hangs its hat on Touriga Nacional (tor-REE-ga na-see-o-NAL). This is the grape most commonly used in Port production, but here it’s presented in a dry style. The result is big, bold wine with lots of grip and tannin. There are lots of violet, date, and plum notes with a strong hint of blueberry pie crust on the finish. The second most prominent grape in the blend, Touriga Franca, is where this wine gets is ink-like color. This is definitely a wine that will leave your lips a shade or two darker. 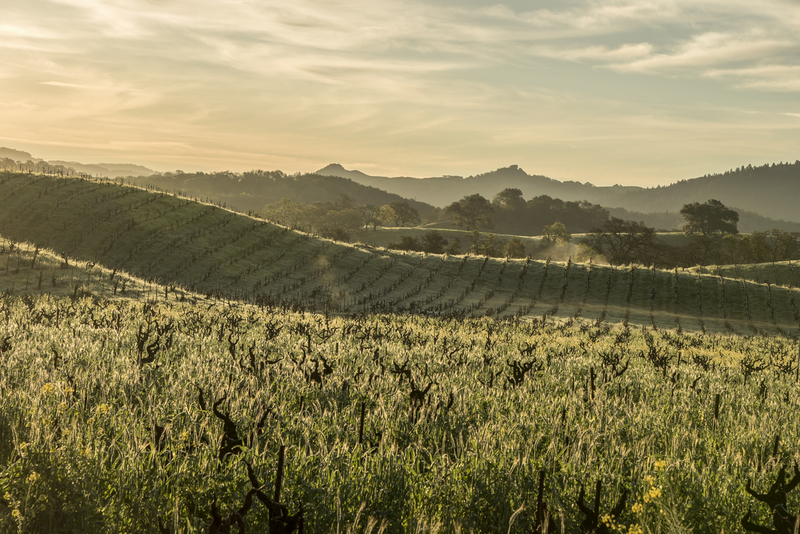 On its own, Touriga Franca can best be compared to Zinfandel with its dark color and milder tannins. Here it delivers a very strong note of black cherry. 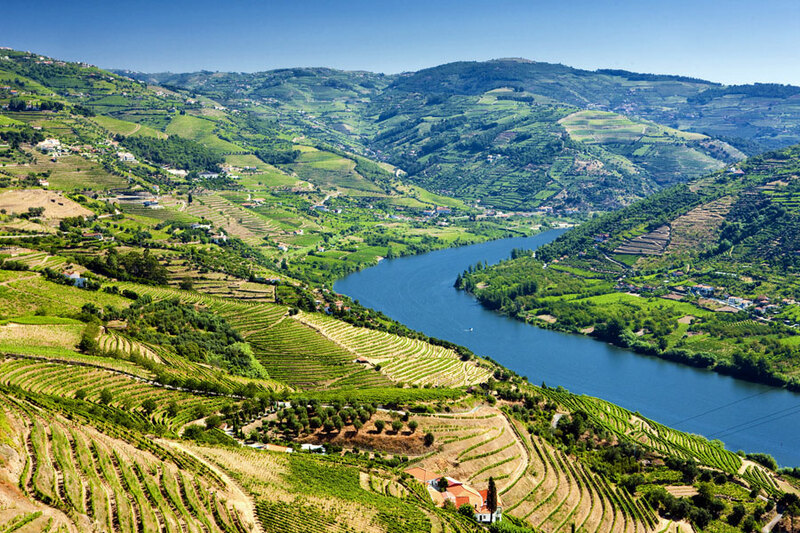 The remaining two grapes are popular blending grapes for Portuguese wines, both dry and fortified. Tinta Roriz is the Portuguese name for the Spanish grape Tempranillo which you got to experience in your January selection. If you’re like me and you’ve been finding excuses to use your backyard grill, this is the wine for you. It’s big and bold enough to handle almost anything you might want to pair with it, from steak to brats. This wine is cravings a hearty meal and company. CDP stands for “Chateauneuf du Pape,” a wine-growing region along France’s Rhone river. Châteauneuf du Pape is generally known for its red wines, but they also produce a rich white wine that I absolutely love. This isn’t that. But it’s close and it’s delicious! This is the same blend that you’d find in France, but produced in Napa Valley. The blend here is 55% Grenache Blanc, 30% Piquepoul Blanc, 15% Marsanne. Piquepoul Blanc is light-bodied grape common in southern France. In many ways, it’s quite similar to Pinot Gris, but with a more herbal character. For me, it’s the two full-bodied grapes in the blend that make this wine so interesting. As the name suggests, Grenache Blanc is the white version of the red grape Grenache. Here it adds the wine’s tropical notes; papaya, pineapple, guava. Marsanne, on the other hand, gives the wine its unique texture, a subtle viciousness that makes the wine seem heavier or more mouth-coating than many others. We recommend serving this wine only slightly chilled as many of its herbal aromas are so light that they’ll be easily hidden by a colder temperature. The high acidity of the wine means that it will pair nicely with most foods. I imagine it going well with salads and fish. The herbal notes in the wine would go especially well with a herb roasted chicken. As always, we hope you enjoy this month’s wines. We’ve already started hunting for June’s selections and we think we’ve found something you’ll love. Where has this wine been all my life? I’m a long time member of the Pinot Blanc fan club, but wheeeeeew, was this a welcome sight: a light-bodied wine with tropical notes that wasn’t a Napa Valley Sauvignon Blanc. Let me tell you – I. AM. HERE. FOR. IT. [insert praise hands emoji] This is what I’m drinking all summer long. Get your bottle before I buy them all. Catherine & Pierre Breton Trinch! It’s about to be 10,000º outside and I just can’t handle a big Napa Cabernet when I’m dinning al fresco. This is when I turn to Cabernet Franc, one of Cabernet Sauvignon’s parent grapes, for relief. This wine comes to us from France’s Loire Valley and, here’s the kicker, you can serve it chilled. Yes, really! Pop it in the fridge for 20 minutes and thank me later. 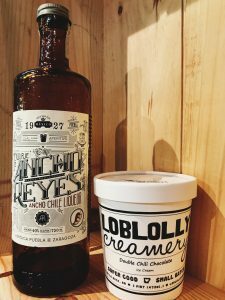 We’ve partnered with the amazing Loblolly Creamery to produce a line of alcohol-flavored ice creams and sorbets that are available exclusively at O’Looney’s. We’ll have two flavors all summer long: Double Chili Chocolate and Sparkling Elderflower. We’ll also have flavors that we’ll rotate in and out. Currently we have a delicious margarita sorbet! This excellent, single vineyard Riesling is everything one can want from a Washington wine. Its sweetness is held in balance by a taut acidity. The resulting wine is gorgeous and full-flavored with aromas driven by stone fruit, mineral notes, wet rock, citrus, and floral scents. Its palate has a beautiful focus with lingering notes of honeysuckle and lime. Vino Verde isn’t actually green like the name suggests. “Green” is meant to signify that it’s a young wine. This is the perfect thing to sip on during a hot afternoon. It’s very light and slightly spritzy. It has a low ABV, which means you don’t have to worry about drinking too much throughout the day. Bouvet-Ladubay is a sparkling wine from France’s Loire Valley. The limestone subsoil is ideal for the cultivation of Chenin Blanc, and the mild climate coupled with the excellent drainage of the clay creates the natural acidity needed to produce a balanced sparkling white wine. This wine is full of bright acidity and the flavors of baked apple, brioche bun, and pear.